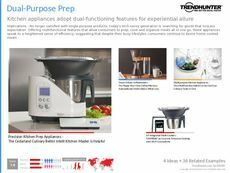 Find Better Ideas, Faster ® with a custom kitchen appliance trend report, our PRO Dashboard and 80+ categories of premium trend reports. 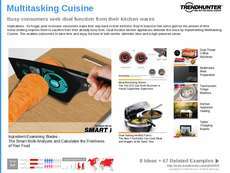 The Kitchen Appliance Trend Report shows readers the most recent kitchen aids being used by consumers in households as well as cafes and restaurants. 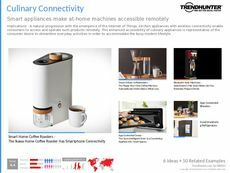 This report will feature leading brands such as KitchenAid and Whirlpool. 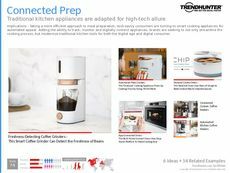 Using Trend Hunter’s crowdsourced research, we will expose the technological advancements that consumers are looking for in stoves, ovens, microwaves and refrigerators. This will also include how restaurants and eateries are incorporating new kitchen appliances to enhance food and preparation procedures. 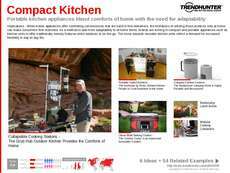 Kitchen appliance manufacturers and producers can use this report to develop new products and address the current industry competition. 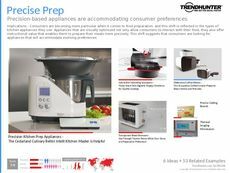 It can also be used by retail supply stores as well as culinary professionals to understand the appliances that will best serve the consumer needs. 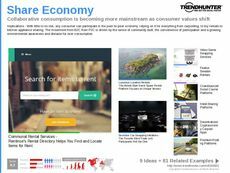 The Kitchen Appliance Trend Report is a concise report that will bring you the latest themes in your industry in order to better cater to the consumer needs.